This super-strong addition to the Bacardi range is often hard to come by and comes with one hell of a kick. 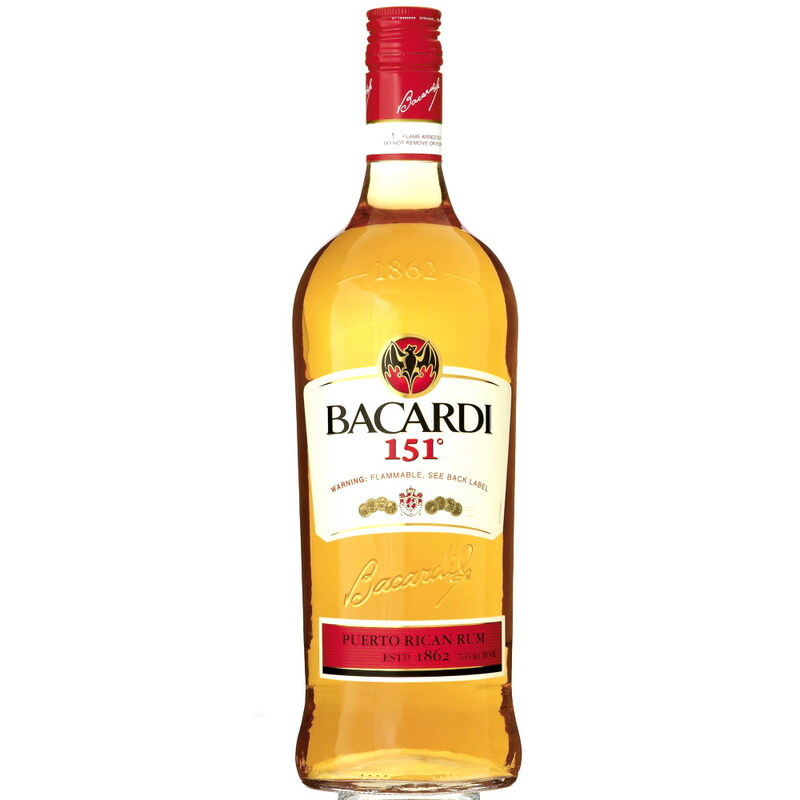 Ideal for rum-based cocktails like Cuba Libre or in daiquiris, the 151 is easy to identify and pretty easy to get your hands on. Best enjoyed in very small quantities. Really can’t stress that enough.